Explanation: Returning from orbit, space shuttles enter the atmosphere at about 8 kilometers per second as friction heats their protective ceramic tiles to over 1,400 degrees Celsius. 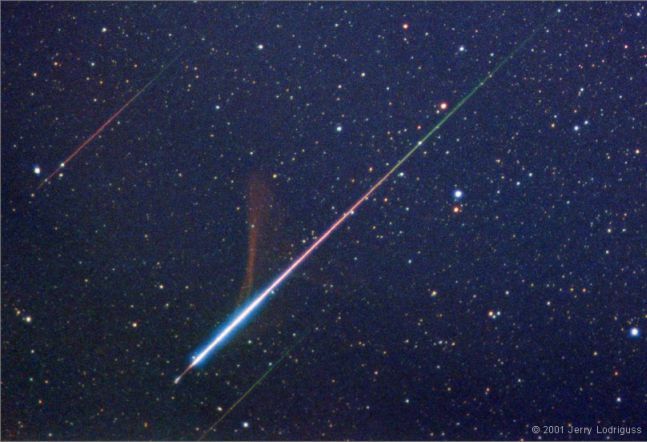 By contrast, the bits of comet dust which became the Leonid meteors seen on November 18, were moving at 70 kilometers per second, completely vaporizing at altitudes of around 100 kilometers. In this single 5 minute time exposure, three Leonid meteors are shooting through skies above Spruce Knob, West Virginia, USA. Background stars are near the constellation Orion. 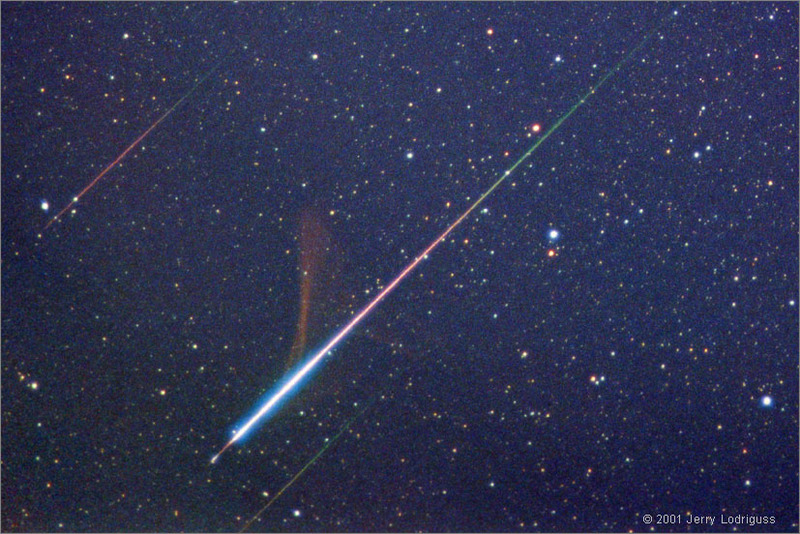 The brightest meteor, a fireball, dramatically changes colors along its path and leaves a smokey persistant trail drifting in high-altitude winds. From that extremely dark site, at an elevation of 1,200 meters, astrophotographer Jerry Lodriguss reports, "We observed a [zenithal hourly rate] of about 3,600 at 10:30 UT and very high rates from 9:30 UT until well into the start of astronomical twilight at 10:50 UT. 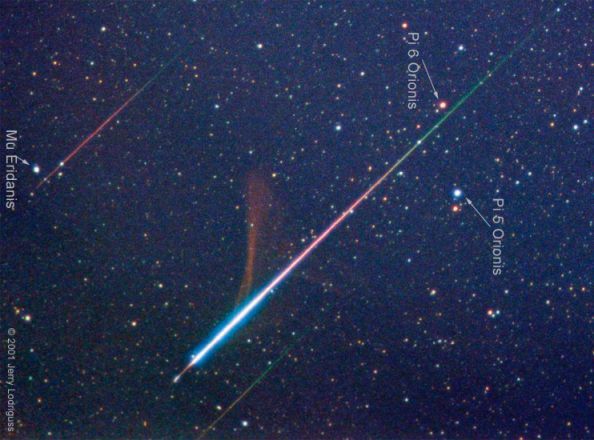 It was quite a spectacular storm, with bolides going off like flashbulbs, green and red fireballs and other fainter Leonids in all parts of the sky."